Breadstick sandwiches aside, Olive Garden probably doesn’t come to mind when you think of culinary innovation. Still though, turning over the creation of new dishes to an 11-year-old seems like an odd choice. But this isn’t just any pre-teen: It’s Logan Guleff, the winner of the second season of MasterChef Junior. In a partnership with the popular Fox cooking show, Olive Garden announced that, starting this week, they’ve added two of Logan’s personal creations to their menus across the country. 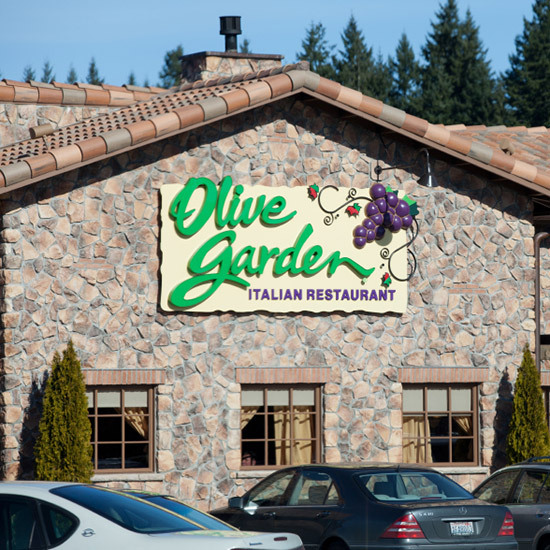 Between now and December 14, patrons can “vote” on their favorite by ordering it in the restaurant, with the most popular dish landing a permanent place at Olive Garden for up to 12 months. Yes, it’s a ridiculous voting system as people are essentially casting their votes before they’ve even tried the dish, but then again, is it more ridiculous that letting an 11-year-old determine the menu at a national restaurant chain? Seriously? What’s going on over at this MasterChef Junior show?? Breadstick Pizza? What did the runner up suggest: Reheating an old package of Bagel Bites?